As you read through the following essays from the leaders of the imaging industry, you’ll probably notice an optimistic tone that is pervasive and convincing. This optimism comes from a simple truth—people are taking millions of pictures every day, and billions every year. And the number continues to multiply. So what does that mean? Well, there’s no escaping the elephant on the pages. Cameraphones continue to dominate the discussion, but they’re no longer seen as the enemy. They’re more of an enabler. They are a way for consumers who may not have picked up a camera for years to become addicted to the joys of photography. And it’s up to us to seize the momentum. Cameras are now worn on heads and strapped on the backs of golden retrievers to deliver true and unique points of view. There are cameras that are now shooting 360º spherical images—capturing action behind the camera! Images redefined as “content” are pushed to social media sites and YouTube with abandon. Facebook has become the de facto photo album for baby boomers to gen Xers. And millennials have hopped over to Instagram (as their parents have taken the “cool” out of Facebook). The common theme I hear is the need for our customers to appreciate the quality of an image. DSLRs, mirrorless cameras and large sensors deliver quality. 4K is on the way to becoming the standard video format. DSLRs are delivering outstanding quality at a fraction of the price of professional video equipment. Wireless technology and mobility now enable people to carry their images around in their pockets. As a result, they have unlimited access to their memories. The good news is, the world is revolving more and more around the pictures or videos taken every day. But if you’re continuing to try to adapt your father’s business model to today’s environment, then the business reaper is not far away. If you’re not on Facebook, Instagram, Pinterest and YouTube, then you can’t really understand the potential of the imaging business. If you don’t use social media to build traffic both online and in your stores, rest assured your competition is eating your lunch. You haven’t printed a family portrait on metal? Then you can’t really comprehend the excitement that’s driving a new world of output. And if you haven’t strapped an action cam on your head yet, then you won’t fully appreciate what’s driving some very smart people to do some crazy things. My sense is that if so many images are being taken by that many people across the globe, then like the 360º spherical image, opportunity is all around us. And if we have to alter our course to seize the opportunity, there is no better time than today. The popularity of smartphones has contributed to a multigenerational photography renaissance where imaging is often the preferred method of communication. From millennials to baby boomers and everyone in between, more images and video are being taken and shared than ever before. Text messages incorporate images. Apps like Instagram and Snapchat exist because there is a huge desire to share messages in image and video form. There has never been a more opportune time for our industry to benefit. At Canon, we focus on developing marketing campaigns and education designed to enlighten, engage, inspire and demonstrate the benefits of taking pictures and videos with dedicated digital cameras featuring large image sensors, high-quality optics, low-light capabilities and Wi-Fi/NFC connectivity. We are also addressing the trend of a greater appreciation for quality video by promoting the Full HD video capabilities of our Rebel DSLRs for the budding videographer, while delivering affordable 4K-capable camcorders, such as the Canon XC10 4K camcorder, for up-and-coming filmmakers. We believe we can win new audiences of users, such as young YouTubers, with our cameras by educating videographers on the unprecedented level of quality video capability. It is also important that imaging products connect to the lives of customers. To address this, the CS100 Connect Station provides imaging enthusiasts with a central photo and video hub within their home. This hub lets them share, store, view, manage and print their most memorable moments via wireless connectivity. Socially savvy consumers also demand seamless input-to-output solutions. Recognizing this, we recently launched PIXMA inkjet printers that allow customers to directly access and wirelessly print from Instagram accounts. In addition, an emphasis on improving and personalizing the customer experience will help forward-thinking businesses build their brand equity. At Canon, we are focused on further building a world-class, customer-centric support infrastructure. And we have committed to 100% U.S.-based customer service. As the photo industry continues to evolve, we see exciting new opportunities for consumers to take and use great pictures. Prints may have declined. However, consumers value being able to turn their favorite pictures into tangible products that they can appreciate for a lifetime. Fujifilm has been an innovator in the highly energized instant film category. We developed the INSTAX line of cameras and the INSTAX Share printer. This Wi-Fi device prints film pictures from smartphones and tablets. The INSTAX line has seen incredible growth, and it has many asking: Is INSTAX photography or is it something else? INSTAX is a fun way to share life. The appeal of INSTAX is rooted in the fact that it is essentially “hard-copy social media.” INSTAX is distinctive because it appeals to a consumer’s desire to produce a one-of-a-kind image, and instantly share it. How do you compete against the ubiquity of cameraphones? At JVCKENWOOD, our answer is better images and better features. We promote products that help consumers shoot video like professionals—and set their social media posts apart with quality and immediacy. Action cameras like the JVC ADIXXION product line have gained a foothold for specific “extreme” POV shooting scenarios. But we also want shooters to reach for something other than a cameraphone for more traditional video production. The new GY-LS300 4KCAM handheld camcorder with a Super 35 CMOS sensor (13.5 megapixels) delivers world-class images and unique features. Its industry standard Micro Four Thirds lens mount means users have plenty of lens options. Plus, JVC’s proprietary Variable Scan Mapping technology allows the camera—coupled with an appropriate lens adapter—to accommodate Super 16-, EF- and PL-mount lenses without compromising the native angle of view. Another unique feature is built-in live HD streaming capabilities. RTMP support allows a direct connection to content distribution networks (CDNs) like Ustream and YouTube for high-quality live streaming. The affordable camcorder also has professional audio inputs to capture great sound with great images. Live streaming video looks and sounds a lot better than that shaky phone video the guy next to you will post. Nikon’s core focus is to enable and elevate current and potential customers with products to support their photographic life. A challenge currently facing the imaging industry is attracting new customers. And that means getting the growing numbers of smartphone shooters and non-DSLR users to upgrade. As an industry, we can do more to appeal to all types of photographers and help them capture their passions in brilliant clarity. Nikon recently rolled out the “I Am Generation Image” multimedia campaign. It speaks directly to the hearts of consumers who use their cameras to capture what matters the most to them. We need to realize why people take pictures and what makes people love the photos they see. Image quality plays a large part in this dynamic. This program also aims to explore new markets for the entry-level to enthusiast DSLR market, where there is the most potential for new customers. Nikon’s core focus is the DSLR market, with strong entry-level products like the easy-to-use D3300 and the connected D5500. For those looking to explore the FX format, the acclaimed D750 is a powerful option. Nikon also reinvigorated the bridge camera segment with the amazing 2,000mm zoom of the COOLPIX P900. We will continue to offer competitive products in this category. Forecasts suggest the DSLR market will remain stable. As an industry, we need to supplement consumers with the tools they need to expand their creativity, such as NIKKOR prime lenses and zoom lenses. We offer value to D3300 and D5500 customers in the form of multiple lens kits that let people realize that changing your lens is truly changing your perspective. Julien Sauvagnargues, Group Vice President, Sales & Marketing, Consumer Products Group, Olympus America Inc. The Consumer Electronics Association recently made the decision to recognize the term “mirrorless” as the industry standard for interchangeable-lens cameras without a mirror. This is an important milestone. It comes at a time when the majority of photography innovations continue to come from the mirrorless category, not traditional DSLRs. Olympus has been a catalyst of this innovation since the category’s inception in 2009. Since that time, we’ve introduced PEN and OM-D cameras that are smaller and lighter than DSLR cameras. They allow photographers to pack lighter without sacrificing performance and image quality. Photographers in the U.S. now understand that bigger is not necessarily better. Mirrorless sales have surged, finally catching up with sales in other regions. Traditional photo hobbyists are looking for something with the same image quality as a DSLR, if not better. They are realizing that Olympus offers everything they need: a quick system that delivers excellent images, great performance and a large selection of lenses. Our mirrorless technology also allows us to perform ongoing firmware upgrades that bring significant performance enhancements and additional features you’d previously only find when purchasing a new camera. Consumers who buy an Olympus OM-D can be sure their camera will remain a state-of-the-art device for years to come. Panasonic’s imaging business has always seen its greatest success with innovative technology that benefits both the consumer and professional photographer. It is for that reason we are very optimistic about the Micro Four Thirds segment and the “4K PHOTO” innovation that Panasonic has added for our end users. With the exclusive 4K PHOTO, photographers are able to pause and extract high-resolution images from 4K video, so they’ll never again miss that one special moment. Adding to that are the 24 Micro Four Thirds lenses in the Panasonic assortment. Photographers have everything they need for still and video capture. There are a number of other innovations that further enhance our platform. These include V-Log for cinematographers, Post Focus that enables users to select an “in-focus” area after shooting, along with other firmware and hardware innovations yet to come. The technology that is available in our high-end cameras and camcorders is also benefiting the point-and-shoot and the wearable action camera categories. If you zero in on our DNA, you’ll find “sharing” and “fun” right at the center. These brand attributes have defined Polaroid for more than 75 years. They are what help shape the digital imaging solutions we bring to market. In addition, across the entire spectrum of capture devices we offer consumers, whether it is traditional digital cameras or even our new Polaroid Cube+ Wi-Fi enabled lifestyle action camera, you’ll find they’re easy to use and boast simplicity. Indeed, they are very much like our legendary Polaroid OneStep instant film cameras that created an entirely new photo experience, all with just the touch of one button. As the digital era evolved, so too did the idea of sharing and the fun surrounding it. Thanks to the rise of connected devices, we’re now taking over 1.8 billion images every day; however, the truth is that many of those images either never escape the confines of a memory card or are simply uploaded to social media and forgotten. With our new Polaroid Zip instant photo printer, we’re giving consumers the ability to instantly share a physical print of a memory they’ve captured, no matter where they may be. The experience is nostalgic and familiar. We could not be more enthused with the reception among our industry partners. The industry has taken a beating in recent years and is in the process of reinventing itself. Those trying to hold onto old business models will surely find challenges ahead. Getting consumers to buy a dedicated imaging product today is more challenging than a few years back. We’re effectively asking them to change their ways. Why do they need an imaging device other than the convenient, capable and easy-to-use smartphone or tablet they’re already carrying around? The mobile market has diluted demand. Our opportunities lie in delivering new products and services that provide consumers with value added beyond their mobile devices. One direction we’re taking at Ricoh is offering up entirely new kinds of experiences, such as 360º spherical imaging. It is difficult for anyone to imagine the experience, frankly, until they’ve used a Ricoh Theta camera. Adoption will require education and hands-on use. Like GoPro before us, we are going down the path of defining a new category, together with retailers and third-party partners such as YouTube and Google. Another direction we’re taking involves the pro market. The pro sector is still healthy, but there are opportunities for retailers to deliver new products to both pros and prosumers. For example, full-frame DSLRs with larger sensors provide a quality experience that is attractive to pros and serious amateurs. We’ll have an offering in the full-frame DSLR category soon, a development we are very excited about. Another example is our Pentax 645Z. It combines top-of-the-line quality at a great price. It is enabling more pros to become medium-format camera owners than ever. This Will Be the Year Mirrorless Cameras Take Hold in the U.S.
Over the last year, led by Samsung, the imaging industry has made significant jumps forward in technology. In 2015, the camera market—including pros, consumers, hobbyists and filmmakers—seems to have universally embraced mirrorless cameras, 4K/UHD video, unbelievably high frame rates, BSI technology and even higher pixel counts. As DSLR sales continue to decline, 2015 will likely be remembered as the year mirrorless cameras really took hold in the U.S., following the trend that started in Europe and Asia. Photographers now realize that when it comes to camera performance, it’s no longer just a function of size. They know this new style of cameras can offer much higher performance and higher reliability without the weight and bulkiness of an old-school DSLR. The scaling of BSI (back-side Illuminated) sensor technology up from mobile phones and into larger camera formats is giving photographers lower noise and higher ISO levels than ever before. The 28MP BSI sensor used in Samsung NX1 and NX500 cameras is a perfect example of these new technology sensors. While the DSLR marketplace continues to shrink, it still affords manufacturers many educational opportunities, not only to grow the overall imaging business that we all share in, but also to benefit manufacturers’ individual businesses. While the major imaging industry trade shows provide options from in-booth speakers and workshops to photo walks, as well as speaker lectures, we have found there are many smaller regional shows and camera club meetings that allow more personalized one-on-one educational opportunities at efficient returns on investment. At Sigma, we’re always taking a fresh look at photography and creating innovative products that enhance the creative potential and picture-taking experience of shooters ranging from students and emerging enthusiasts to advanced amateurs and seasoned pros. We also carry out this mission by educating consumers on how they can take their photography to new levels by selecting lenses that capture unique perspectives and extend their image-making opportunities. To refine this process, make it more accessible and allow consumers to select the specific Sigma lenses best suited to their needs and styles, we’ve organized our Sigma Global Vision line of lenses into three distinct product lines: Contemporary, Art and Sports. Every new Sigma lens is assigned to one of these clearly defined categories, making it easier than ever for anyone passionate about photography to choose the best lenses for expressing their creative vision. Perhaps the ultimate educational experience is working with college and university imaging educators to help them teach more effectively. Indeed, many educators are extremely receptive to company-sponsored photographer lectures, technical representative demos and Q&As, as well as videos and syllabus support materials. There is no debating the immense challenges our industry faces today. However, it’s these challenging times that present the most opportunity for us as camera manufacturers—opportunities to drive innovation forward and completely alter a consumer’s perception of what a digital camera can (and can’t) be. Recent history has proven our customers will respond well to innovation, when a camera company brings a camera or technology to market that consumers never before imagined. This needs to be our main focus both as a company and as an industry. From Sony’s perspective, there’s no better example of our drive toward innovation than our α (alpha) cameras. Models like the α6000 and the new α7R II have redefined what a “consumer” camera and a “professional” camera can be, and they’ve led to record levels of sales for us. As the market paradigm continues to shift from DSLR to mirrorless cameras, we will continue to focus efforts on the growing category. On the video front, we expect demand for high-quality movie recording to rise, in particular as more and more 4K UHD TVs penetrate U.S. households. As a world leader in 4K production, with a growing lineup of 4K-capable cameras ranging from Action Cam and Handycam camcorders to the full-frame α7S and α7R II, we are well positioned to meet demand. We’ve also leveraged Sony’s extensive experience in the professional market to deliver features like high frame rate and slow motion recording—up to 1,000 fps in our new RX models—to a new range of customers, allowing them to capture moments they never before could. In 2014 we saw an even stronger decline in demand for cameras than in 2013, as mobile device uptake for consumer photography continued to deepen. These trends have continued into 2015. At the same time, a host of new accessories and applications are now making the mobile platform more appealing to the higher end photographer, including high-quality aftermarket lenses, mounts and editing applications. This trend is not unique to the imaging industry. 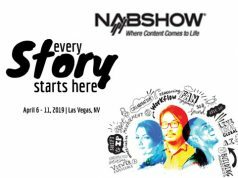 At CES 2015, it was clear to many longtime observers that a CES show once defined by discrete product categories has now become one centered on connecting any device, appliance or user via intelligent wireless connectivity. Simply put, the CE space has now become one piece of a sprawling market defined by the Internet of Things (IoT). The ability to capture an image or video is now an enabling technology driving new categories like gaming, drones and mobile devices. IDC expects this type of image enablement will become the norm rather than the exception, utilized to offer unique consumer value propositions. There has never been a higher level of interest in photos, photography and imaging. InfoTrends predicts that almost 200 billion photos will be captured by cameras, phones and tablets in the U.S. in 2016. Our research has consistently shown that age has a dramatic impact on consumers’ usage, attitudes and purchasing habits. We believe that baby boomers provide insight into the market of the past, generation Xers shed light on today’s market, and millennials give us an idea of where the market is heading in the coming years. Vendors and retailers should note some of these facts as they develop new products, services and marketing messages for each generation. Millennials are very photo active and share their images via social networks, online communities and mobile phones. For mobile phones, millennials take more pictures than their older counterparts. For digital cameras, photo taking is increasing for older millennials but declining for younger millennials. Gen Xers are prime targets for capture, output and sharing vendors and services, because they remain very active in all of these areas. Baby boomers may be past their prime photo-active years, as they take the fewest digital camera photos and use their cameras the least frequently. They are becoming consumers of other people’s photos rather than generators of photos for others to consume. So, sharing of photos with boomers grows in importance. All generations are still printing occasionally and printing habits across all generations show many similarities. A Sea Change for the Imaging Industry? That shows the rejuvenated attitude of entrepreneurs who are redoubling their investment in photo specialty. Contrast these entrepreneurs with the vibes coming from Conn’s, a regional appliance chain. Conn’s was almost giddy with joy from exiting digital imaging. Conn’s did everything but admit it was a management error to be in the losing category. The chain instantly regained the “lost” volume and margin. The contrast points up the fallacy of industry players who are favoring the concentration of the camera business into the hands of a few mega retailers. CIPA (Camera & Imaging Products Association) of Japan reported shipments of interchangeable-lens cameras were trending up in June 2015, breaking a multiyear downtrend. 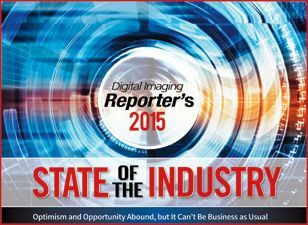 While 2015 was by no means a banner year for the imaging industry, there were certainly reasons to be optimistic. Mirrorless was a bright spot in the interchangeable-lens camera market, as revenues grew 12% year over year, according to The NPD Group’s Retail Tracking Service. Point-and-shoot camera sales grew among premium customers, as models above $600 increased 10%. And, of course, you can’t talk about today’s imaging landscape without mentioning GoPro and the action cam segment, which has fueled a 25% overall increase in camcorder sales. Today’s consumer electronics product landscape includes an ever-expanding list of devices featuring cameras that are all competing for attention. Given that, the state of the market isn’t all bad. Millennials also provide reason for optimism. NPD’s Checkout Tracking Service, which analyzes technology spending from a total retail perspective, shows that while millennials spend roughly the same proportion of their retail wallets on technology products as consumers over 35 (they over-index for video games, beauty items and, naturally, baby products), their share of spend on imaging products and accessories (including cameras, camcorders and accessories) was 77% greater than older consumers. Recent announcements by Google and others have brought us to a watershed moment in photography: for the first time in the history of the medium, we can now find and access any of our photos, any time, on any device—within seconds. Eleven years ago, the introduction of Gmail radically changed how I, and millions of others, used e-mail. I could suddenly access my e-mails from any device, find them through a superb search engine without needing to organize them in folders, store as many as I wanted in the cloud at no cost, and view the most important ones in my priority Inbox. We want the same thing for our photos. Recent innovations in services like Google Photos, Flickr, Facebook, Eyefi and Orbeus more or less take us there through automatic photo syncing and aggregation, metadata normalization, and auto-tagging based on image recognition and face/person identification. More images are taken daily across a wide variety of devices, from professional-grade DSLRs to smartphones, than ever before. This represents a significant opportunity for retailers and professional photographers alike to leverage print as a means to increase bottom lines in 2016 and beyond. The past five years have seen an influx of wireless image-capture devices that have transformed the photo-imaging industry. Utilizing a print solution with wireless capabilities that can leverage tools like cloud storage and mobile devices is critical in ensuring profitability. At DNP, we continuously innovate and invest in instant digital printing to develop solutions for our customers that are both profitable and easy to use. Among these innovations is DNP’s recently introduced WPS-1 wireless printer server. The WPS-1 allows Wi-Fi-enabled mobile devices, DSLR cameras and third-party solutions, such as CamRanger and Simple Booth, to wirelessly print to our suite of dye-sublimation photo printers without compromising on quality. Equally important to generating revenue in the foreseeable future is to educate consumers on the accessibility of print technology and how easy it is to print photos that are often trapped in the cloud. While there isn’t as much photo printing going on today, especially among generation X and millennial picture takers—because of social media and photo-sharing sites such as Facebook, Instagram and Snapchat—there are still growth opportunities in the on-site printing market. This is exemplified by a large increase in photo booth printer sales. Photo booths combine the fun and excitement of both social media and print products. And, we have seen an increase in sales of Sinfonia’s small footprint, great quality and affordable printers. While the photo industry is moving through the most difficult times ever, there are also more opportunities to manage, manipulate, share, print and be creative with the prodigious number of images available for increased profits. As an industry, we must get back to image print quality being important. The term “good enough” being used by many in the marketplace as acceptable is playing an aggressive role in the increase of consumer complacency in making a print. Marketing is now the new norm for the industry. This is exciting for those who embrace the thought, as it is now cheaper than ever with the various electronic means of reaching the consumer. Yes, it may require hiring some “young guns” to get the new marketing program off the ground. But the return on investment will be unbelievable if you embrace changing consumer habits and meet their ongoing needs. New products and ideas are here to stay. And we, as an industry, must do our part to offer high-quality solutions to meet the needs of the marketplace. Smartphones have triggered a historic disruption in the photo industry. Everyone is a photographer, effortlessly capturing and deleting images by tapping a screen. And they’re not just snapping photos. Apps like Instagram have inspired them to enhance the images they make. This is a good thing. Now more than ever, an enormous customer base is hungry for the next thing. And photo specialty stores are uniquely positioned to deliver. High-end cameras and innovative accessories—coupled with your knowledge, expertise and personal service—open up a rich visual world for image-mad consumers that phones can’t touch. Show customers why they need a tripod for long lenses and to shoot videos. Show them how a filter protects lenses; how a polarizer helps create better images by eliminating reflections, as well as darkens the sky. Argraph’s mission has always been to offer dealers high-profit accessories to help you prosper. We are constantly adding innovative products. Sirui tripods, monopods and heads have achieved unparalleled growth by offering an unmatched combination of quality, innovative design and value. We continue to introduce models and features, with Sirui’s design and build quality that impress photographers. Marumi, continuing its commitment to quality filter manufacturing in Japan, introduced EXUS digital camera filters. With innovative, patented features such as an antistatic, 12-layer, oil- and water-repellent multicoating, ultralow reflection/ultrahigh transmission design, and Teflon-coated threads, EXUS achieves a new level of quality and performance. Our Pana-Vue slide viewers are perfect for customers who want to unlock the memories in their slide collections. Our newest Pana-Vue Pana-Scan scanners convert 35mm, 110, 126 and 120 transparencies and negatives into 14MP digital images. They make scanning, sharing and archiving memories fast, easy and economical. Drive sales by bundling camera sales with extra memory cards, a card reader and batteries. Serious photographers will appreciate our color-calibration tools, such as QP cards, to help them get the best images. Novelty items like Mirror, Mirror on the Camera and Bottle-Top Pod give new meaning to “impulse purchase” for the selfie generation. The photography and videography technology landscape is constantly evolving. Manufacturers are working quickly to stay ahead of the demands of professionals who wish to improve their workflows end to end. That includes the capture, storage and transfer of large amounts of high-quality content. New memory card formats like XQD 2.0 and CFast 2.0, as well as existing memory card form factors, are constantly evolving to deliver new features and increased levels of capacity, speed and performance. Selecting the right technology is an important process for professional photographers and videographers, as it ultimately impacts their success. Retailers must be educated on the latest products and understand how they fit into the existing ecosystem of solutions. That requires understanding how to help customers map key factors—like the type of photography or videography and camera selection—to a compatible memory card and reader solution. Whether it’s confirming their camera has been updated with the latest firmware or ensuring it’s backward compatible with the memory card of choice, attention to details is of the utmost importance for customer satisfaction. At Manfrotto, we don’t take a “one size fits all” approach with our support products and accessories. We want to give consumers a wide choice when it comes to solutions. And, more important, give them the ability to not just capture an image but to create a great one. This starts with understanding exactly how and where consumers are using their cameras. By closely analyzing trends and ever-changing consumer behavior and lifestyles, our R&D teams are able to develop new and innovative products that meet the unmet needs of these photographers. Perfect examples would be our Off-Road collection and award-winning Digital Director. Designed specifically for the outdoor enthusiast, Off-Road perfectly marries two lifestyles. It allows users to bring their camera gear with them while giving flexibility to enhance their experience and enjoy their time outdoors. Digital Director is truly a groundbreaking solution and a completely new direction for Manfrotto. A state-of-the-art single source solution, Digital Director gives enthusiasts and professionals alike the ability to better manage their photo and video workflow directly via an Apple iPad. We’re at a stage now in our industry where nearly every consumer has a way to capture an image. No matter what capture device they’re using, the fact that more consumers than ever are embracing photography and videography presents tremendous opportunity for manufacturers, distributors and retailers alike. The camera market has changed, but one fact remains: people love to take pictures. This year people will take more than a trillion images. From the retailer’s perspective, it may appear that since some people only use phones as their camera, less opportunity exists. The numbers tell a different story. For every 100 people who stop using “real” cameras, 140 fall in love with photography. And they upgrade to “real” cameras. Photographers of the past purchased SLRs, took classes and went on photo trips (some even worked in darkrooms). They searched for the “perfect picture.” Today, many photographers focus less on the “perfect picture” and more on capturing memories that tell the story of their lives. A soccer mom can easily take 500 pictures in a single weekend (and then do it again the following weekend). The good news is that there are more photographers taking more pictures than ever before. 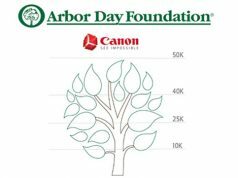 This means more opportunities for all of us to help photographers grow their new passion. People love taking pictures. They love having pictures. They hate what comes in between. Sorting pictures to find the best ones to tell a story is hard work. There is a reason it is called workflow. Owning a camera store today is tough. It seems that many suppliers want to give all of their business to the big guys. They are leaving small to middle-size shops out in the cold. At OmegaBrandess, we live the life of a distributor in the photo channel. That means that we too are loved by some and dismissed by others. Our mission is to become loved by more dealers who understand the benefits of buying from a distributor in a time when many manufacturers want to eliminate the middleman and sell direct. And by direct, we mean not only to the dealer but to the consumer as well, becoming a competitor and supplier. It’s the old “have your cake and eat it too” approach. Buying direct from the manufacturer as a dealer has its benefits, including possible lower costs. But it often requires high minimum orders or hefty commitments. For example, via buy-ins or maintaining minimum stock levels. This is where the distributor shines. We work hard to provide the lowest price we can while also keeping our minimums low. This allows the dealer to put together a variety of products in one order that meets their needs. Whether surveying disaster relief zones, assisting law enforcement or providing high-quality aerial video of sporting events, travel destinations and real estate sites, camera-equipped drones are creating new possibilities for photographers—professionals and hobbyists alike. This technology, which was at one time feasible only for film directors and cinematographers, is now available to everyone. Two themes driving consumer technology growth in 2015 are mobility and connectivity. The market for traditional point-and-shoot digital cameras has matured. But we’re now taking more photos and capturing more memories than ever before. Sales of action camcorders are up 18% in 2015 according to CEA market research. And InfoTrends predicts more than one trillion photos will be taken worldwide in 2015. While the sensors and optics embedded in smartphones and wearables can’t compete with stand-alone models, CEA market research finds consumers assign different uses to different kinds of cameras: smartphones for spontaneous shots; digital cameras for planned events like family gatherings or sporting events. The ability to capture an image or video is also an enabling technology. It is driving new product categories like gaming, drones and mobile devices. The “photo industry” is more robust and growing at a rate higher than at any time in memorable history. Photo and video capture continue to explode. 2014 data suggests that 160 billion images were taken, up from 112 billion in 2013. Video capture is growing at a similar rate. Annually, 22 billion images are being uploaded to Instagram (2014). Facebook reported in May 2015 they have 300 million images uploaded per day. The photo industry has melded with the video, mobile and print industries as well as social media. This provides limitless opportunities for creative output while embracing the areas that now define the photo industry. At our 2015 International Print & Imaging Conference, we introduced an initiative called the Vision Project. This growth program provides IPI members with a business model designed to embrace mobile imaging opportunities in an experiential and modern retail setting. Think of it as the photo business of the future. The Vision Project is a comprehensive retail solution that fully embraces commercial and consumer categories. Key components of the project include: exclusive new products and services; educational and event classes; local and national websites; packaging solutions; an online selling model; mobile apps; marketing support; international branding solutions; planned customer experience; and store design. With innovation and an enhanced customer experience, the Vision Project is a retailer’s roadmap to a thriving business model. Annually evaluating the strengths, weaknesses, opportunities and threats (SWOT) is critical to business planning. In fact, looking at IPI’s own opportunities is what led the IPI HQ team and board of directors to launch the Vision Project and other exciting strategic concepts in recent months. In 2016, the photo industry will see more than one trillion photos taken and shared. This is a twentyfold increase since the dawn of consumer digital imaging in 1999. And it is proof of the vibrancy and health of the world of photography. Despite the exponential growth in imaging and the near-universal availability of cameras, the conundrum is consumers are just not very good at using their images outside of loading them en masse to social-sharing sites. The challenge facing the industry is enabling and encouraging consumers to do more with the images they capture. Today, many consumers don’t even know where their photos are stored. If they do manage to find a treasured image and want to print it or gift it, their intent is often stifled by format incompatibilities and proprietary standards. As an industry, we are making life very hard for the consumer and are then surprised when they don’t persevere. This irony is occurring at a time of rapid innovation in imaging technology, whether it be the ubiquity of high-quality capture devices, the availability of super-high resolution as standard, the ability to image objects extremely close up or at great distances, and the variety of creative solutions to manipulate and improve the raw data. Manufacturers and other members of the imaging industry are changing. The PhotoImaging Manufacturers and Distributors Association is changing as well. The organization has a history dating back to 1939. But without listening to our members we will not continue to thrive. It is for this reason that PMDA has transformed in the past year. We have listened to our membership, which no longer embraces a day of golf. But it very much wants to recognize those who use their talents as photographers to address social and cultural issues. We all know the photo-imaging industry has seen dramatic changes in image capture and output over the past 15 years. But it’s so exciting to see the tremendous opportunities now available in truly digital output. Photo labs and specialty retailers are no longer limited to printing snapshots on photographic paper; with digital technologies, we can now print on a variety of papers, metals, wood, ceramic, acrylic and so much more. Our only limit is our imagination—and the imagination of our customers. Many of us built our businesses in the consumer marketplace. Helping consumers share memories, decorate their homes and preserve family history are still important components to our business models. But as the past decade has shown, consumers also have a great many nonprint options to choose from. Sadly, some consumers will be content with Facebook or Instagram being the archive of their family memories. Fortunately, digital technology has also opened new and exciting markets for all of us. In fact, digital printing has expanded our horizons as retailers. Not only are we becoming “photo design centers,” but many independents are becoming short-run printers, graphic design firms and sign makers. And this is often just by adding a few pieces of equipment. This in turn has led to a great opportunity to pursue new markets. The state of our industry continues to change—maybe faster and more dramatically every year. Our retail store’s sales have increased in 2015 and our expenses are under control; however, we do not have much of a sense of security. We are working harder than ever, and we are continually looking at new products, promotions and processes. But when we do have a moment to reflect, we are very excited about all of our new capabilities. We are adding a business-to-business sign printing operation to one of our locations. This will expand the types of products we can output. Our social media communication is evolving into the most important part of our marketing. And the advances in technology are making us more efficient than ever. In the 40 years that I have been involved in the photo business, I have never seen a swifter change and reorganization in how we are doing business and in our approach. While we have held very steady in our dollar volume, the mix has changed drastically. In the past 20 years, the major camera vendors had been responsible for 40% of our dollars. With the change in consumer purchasing habits, declining markets and the decreased margins these vendors bring to the table, this is an unsustainable model to cover our expenses. Those vendors were only responsible for a total of 20% of our dollars in 2014. We have gone to other nontraditional photo product lines to continue to do our volume at greater margins. In addition, we are researching and finding nontraditional sales channels for these different lines as well. These would include online channels and not your traditional walk-in business. In addition, we are working to expand the traditional photo lines that have better margin and can be in markets that fit well with our business rather than struggling to be a participant. These will vary from store to store. And they have to fit with the talents and expertise your employees bring to your business.